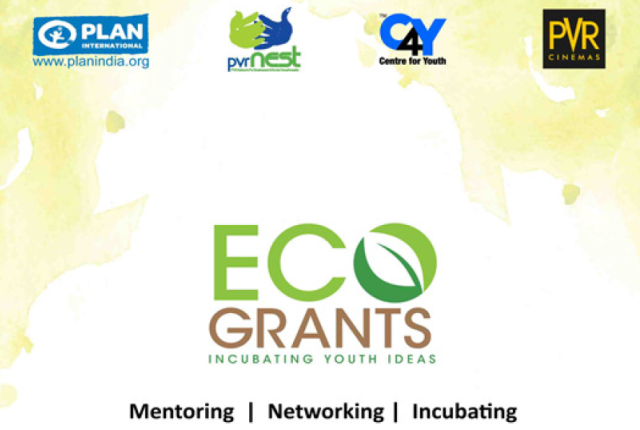 PVR Nest, Plan India and Centre for Youth are looking for applications for Eco Grants – Incubating Youth Ideas. Curated as an end-to-end solutions programme, ECO Grants hopes to address the most pressing environmental needs in our community via citizen participation. The Project is open to youth in the age group of 18-29 years, across the 5 cities of NCR of Delhi, Dehradun, Jaipur, Lucknow and Udaipur. ECO Grants Orientation Workshops have already been held in these five cities. FAQs and ECO Grants brochure is attached with the email for complete details on ECO Grants.